Walking over to the Bethlehem Church and to Strangas earlier in the week, I cut along Blågårdsgade - a street in Nørrebro that runs parallel to the lakes on the side away from the city and one block back from Peblinge Sø. I have walked along the street several times and had noticed the square but it was always when it was busy with people so I had been people watching and looking at the shops and the busy stalls of the flea market. This day was quieter and it was possible to appreciate the size of the square and the layout with a broad area to walk around the outside, planted with mature trees, but with a large open area, sunk below the level of the pavement, at the centre. On one side the line of buildings is broken with a church set back and slightly raised above the level of the square with a double flight of steps up to the central door. 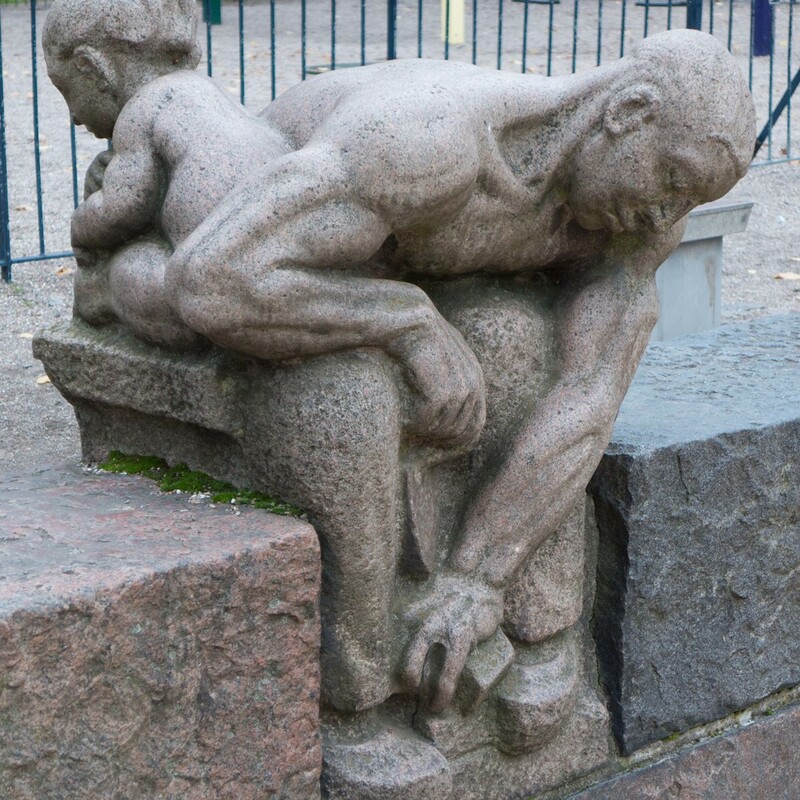 At intervals around the retaining wall of the sunken area and at the corners are sculptures, 22 in all, that are carved in granite and depict working men and women with small children, toddlers, barely more than babies. 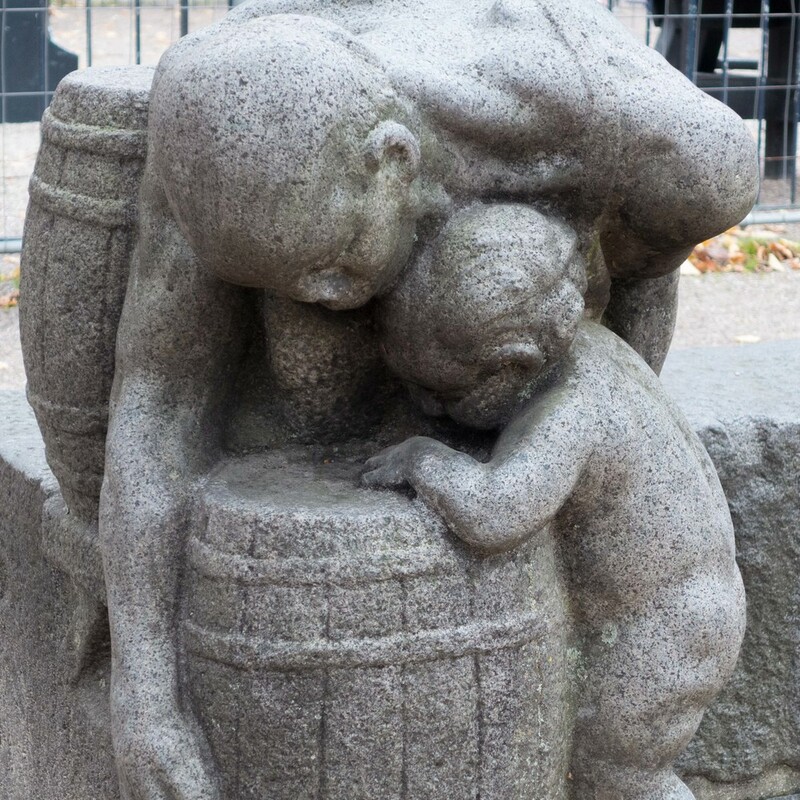 The adult figures are incredible, life size, bent almost double, in effect sitting on the retaining wall and facing into the square, mostly occupied by their trades - one figure making a barrel, another with a carpenter's plane and another wearing a heavy apron and removing a nail from a horseshoe so clearly a blacksmith. Just one of the male figures is not working - he plays an accordion. Apart from one man, a butcher who wrestles with a ram he is slaughtering, each adult figure has a single child clinging to them or crawling over them and it is not clear if the adult workers are teaching the children or are being distracted and annoyed by them. 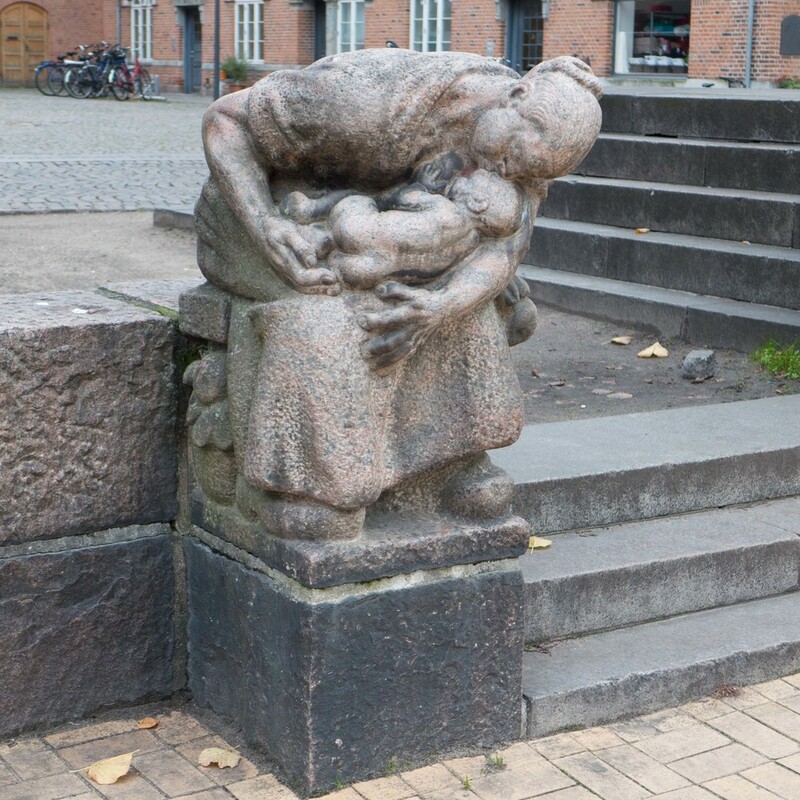 Only in two figures - a woman showing a child a large fish she is holding and another woman clasping a child to her, breast feeding - is there any real sense of engagement between the adult and the child. At the corners of the sunken area are steps down for access to the lower part and the corners are emphasised by large, rounded, boulder-shaped groups with more children but here playing alone and much more vigorously portrayed. There are similar large groups without adults at the centre of the church side as part of a broad double flight of steps. On one side, six children play with two rabbits and in the other group the toddlers hug or hold a group of small owls. The figures are self-contained and dignified; inward looking, caught up with what they are doing and not looking out or forward or at each other. This is strong, intense public art and well worth seeking out. The open square and some of the buildings around the square date from the early 20th century, immediately before the First World War, when a city block of crowded commercial properties were demolished. 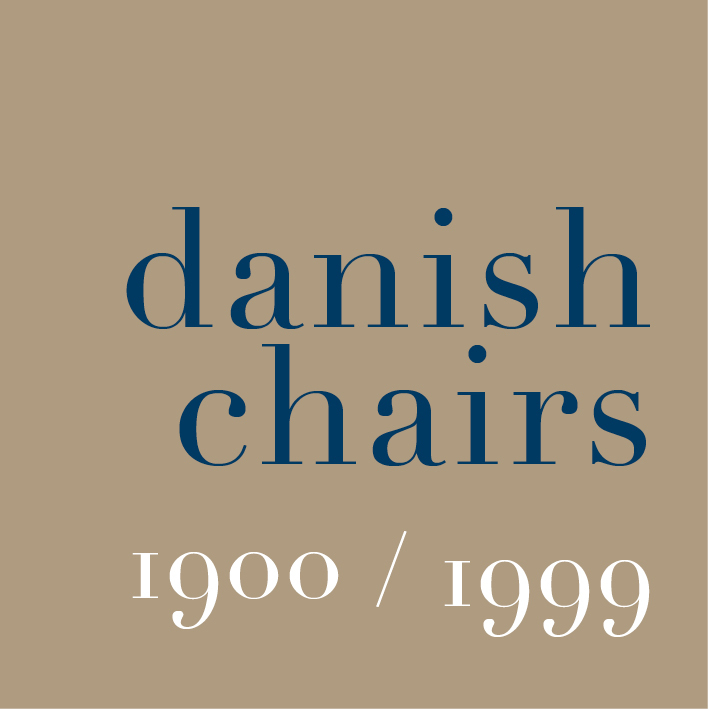 The architect was Ivar Bentsen who went on, in 1921, to found The Danish Institute of Town Planning and that was also the year he designed the Bakkehusene row houses which were the first terraced houses for the working class to be built by the Copenhagen Public Housing Association. In 1923 he was appointed as a Professor at the School of Architecture. 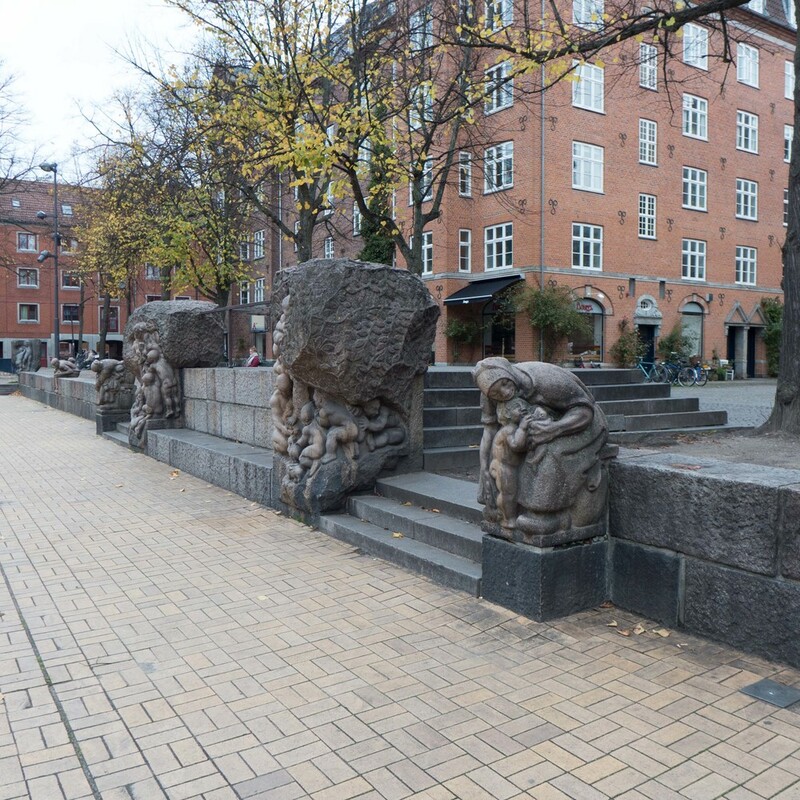 The sculptures were by Kai Nielsen who was then only about 30 years old but, tragically, died just a few years later. There are works by Nielsen in the collection of the Statens Museum for Kunst (the National Gallery in Copenhagen) including a sculpture of Leda with the Swan, a Seated Old Woman and this bronze portrait bust of the boxer Emil Andreasen that dates from 1922 and has a raw power comparable to that shown in the depiction of working men in the sculptures around the square.